Still best Slasher Captain until Mihawk. 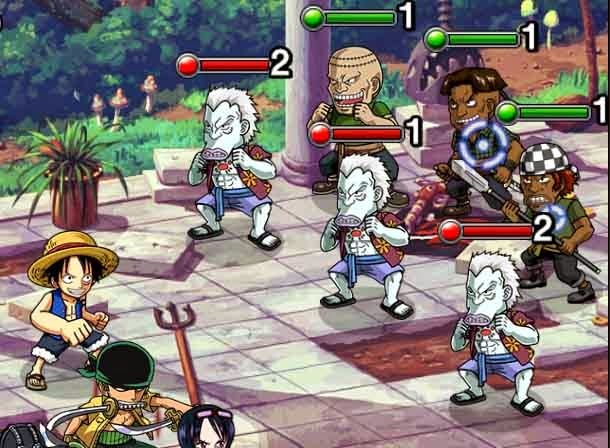 Get him at his 3* -Form and stuff your turtles into his teeth because he will be one of the strongest STR/Slasher forever. Also available as a Skillbook drop ! She has some of greatest damage denying from INT damage and has the chance to level up her great Special from this Isle. Thunderbolt Nami books will make an appearance in Expert Mode (30-Stamina). 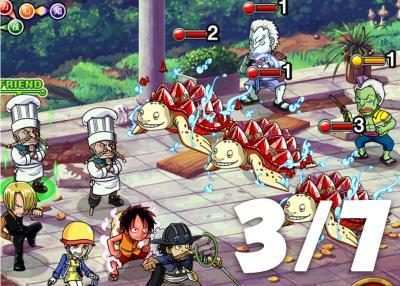 For those who evolved Nami to 5* have the chance to deal their special out on a lower cooldown. 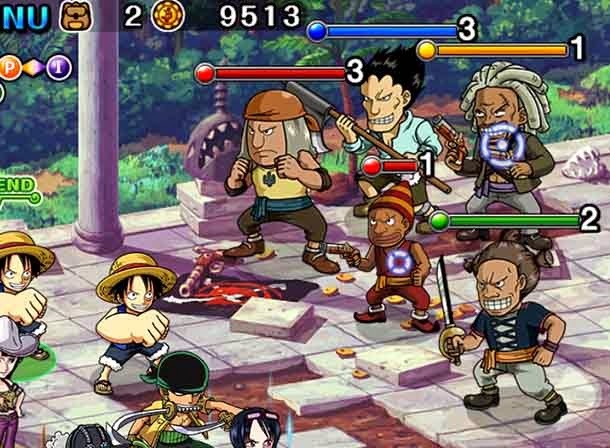 (We will not list Gear 3rd Luffy or Towel Nami 5* + Nico Robin 5*-Teams, because they can clear Expert Arlong in almost 1 turn. Just make sure you hit him before he does). 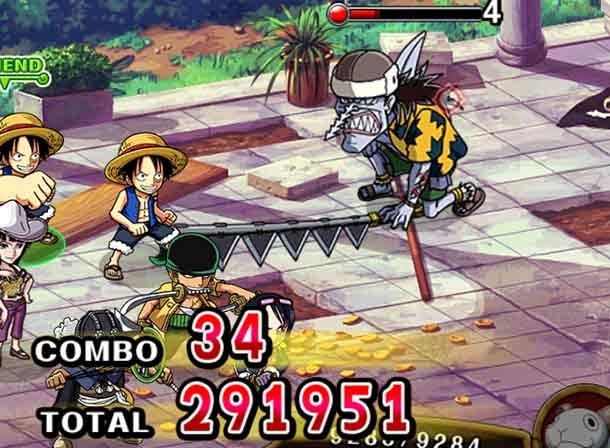 Maybe not as good as a Gear 3rd Luffy but - Flamefist Ace Teams make use of STR weakness to QCK. Make sure to bring some 4* QCK units. 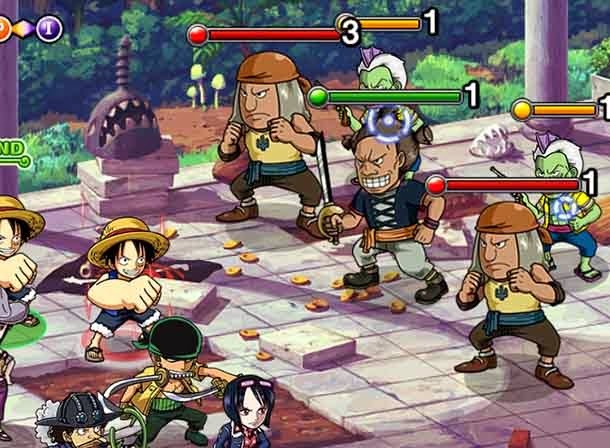 As an alternative to Ace: With double Zeffs and other strong QCK Fighters - This 6.25x ATK Team should be able to clear Arlong when used properly. Golden Pound or Sogeking for turn delay. Stomp the 1 turners first. 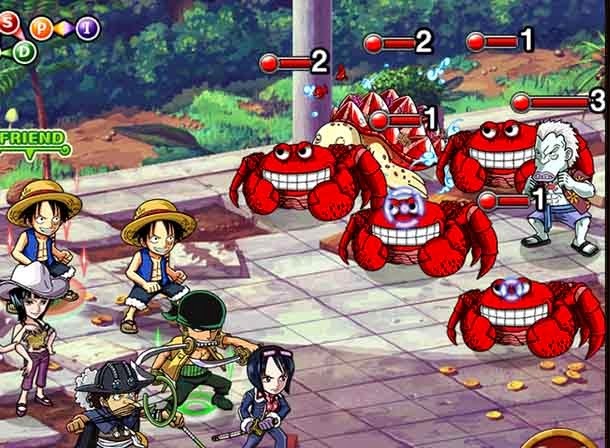 4 Crabs? No ! Combined they deal enourmous damage so kill them first. 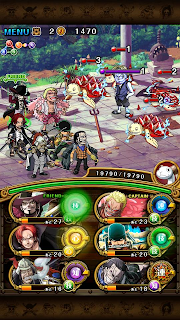 Or use Diable Sanji to wipe all. Use the turtle to stall your Specials or the fishman. Opposite to Kuro. He has low HP, but deals so much damage that you can get unconscious. 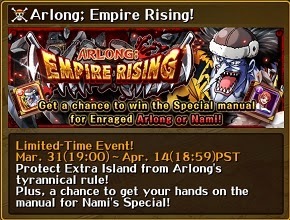 With an Usopp delay, a 4-5-Turn Arlong. 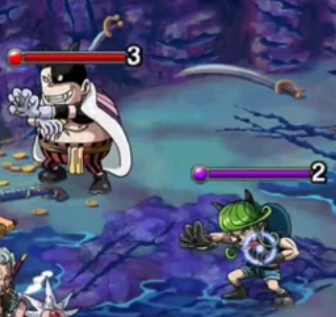 Hachi appears randomly around the dungeon from Stages 1-6. He will/can appear in all versions of the island from 5 to 30. He has no real use than collecting though.